The English Lake District National Park boasts an endless supply of fantastic locations right on my doorstep, and in every changing season - from rolling fells and vast expanses of open grass fields - to craggy mountains. Cumbria is a region full of contrasts with lakes, waterfalls, rivers and the seaside offering magnificent backdrops and playgrounds. 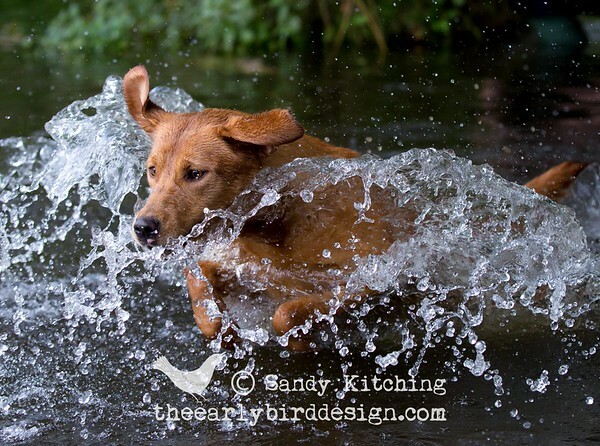 I am passionate about capturing the essence of animals and birds - in action, at work and at play - whether you have a stable of horses, a field of livestock, or simply a dog that loves jumping around in a stream! Continually searching for a different way of looking, I am mesmerized by the infinitesimal gradations of Lakeland light that cast a magical radiance over my equine and canine subjects. Where you lead, I will follow - I can travel anywhere in the world for photography commissions. 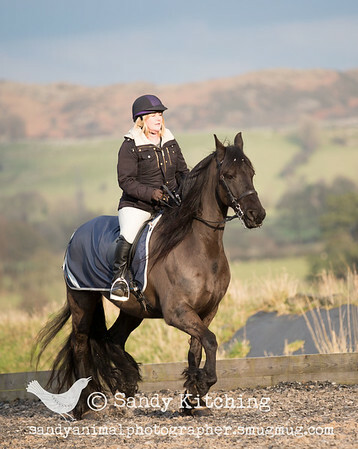 Over the past seven years I have spent hundreds of hours in the company of more than 15 magnificent black Frieisan horses, who are owned by Tracey Alexander at Black Horses Friesian Stud in Cartmel. Tracey is a great friend and has given me access all areas to the horses to help me achieve some truly memorable photos. In 2015, 2016 and 2017 I was in the privileged position to be invited by FHAGBI to photograph the annual Friesian Inspections and Gradings. When photographing equine subjects, it's imperative that I take time to establish a trusting relationship. I understand just how precious these beautiful animals are to their owners. Only when horse and owner, or handler, are used to having me around will the magic start to happen. I don’t use artificial lighting rigs or flash. I perceive the special qualities in every horse and capture these through the lens. I am fascinated with working to capturing natural light through the lens, which results in truly natural shots. It also eliminates any risk of causing unnecessary stress to the horse. > Close up portraits - of horse and rider interacting and posing together. Tracey Alexander and I offer a special photo package to record people taking part on one of her popular Friesian Experience days. I can be booked for a half or full day photo shoot, which can involve a tailored mix of photos of intimate portraits of horse and riders before the ride, and action shots hacking on the fells or beach. We also offer a Love the Dress package for ladies who want to wear their wedding dress again whilst riding a beautifully groomed and pampered Friesian Horse. I get such a thrill joining dogs and their owners on adventures, whether it be in the comfort of your own home or out in the countryside. I have worked with an endless mix of myriad breeds - from working gun dogs to beloved family pets. I have worked closely with the highly regarded Cumbrian-based dog trainer Ingrid Grayling, who has taught me so much about dog behaviour. If you have a new puppy, before you know it they are fully grown and gone are those precious and comical puppy months. My special Puppy Power package consists of 3 sessions charting the puppy's first year. Document your puppy's growth, and your developing friendship, and see how much they change! Finally, you can rest assured that you will have my undivided attention on the day. I select and professionally edit all of my photographs individually (not batch processed or handed over to assistants like some photographers do). I enjoy the whole experience and it's important that I have full quality control over the finished images. Unless specifically asked to, I avoid over-working images and I am not a fan of photoshop gimmicks that can make a photo look fake, forced or dated. I live in a small hamlet called Barber Green in the Lake District National Park, just a few miles from Cartmel.